Welcome to another post on the power and magic of gems! This time, we will focus on sapphire meaning and properties recorded throughout history, from ancient times up to contemporary uses. To begin with, this gem belongs to the Corundum rock-forming mineral family along with Ruby. Chemically, it stands for the hardest and most stable minerals known after Diamond, followed by Topaz, Quartz, and Amethyst. In addition to its hardness and resistance, the sapphire has an unusual density. That is why this gem is invested with meanings of stability and resilience. This crystal of aluminum oxide has been mined as early as the seventh century BC, in Burma and Kashmir. Sapphire’s potential healing powers, however, have been widely exploited during the Middle Ages. According to lore and legends, the stone was used to protect wearers from harmful emotions and to keep away malicious spirits. The sapphire is mentioned in sacred books and has been cherished by priests and spiritual leaders for centuries. Medieval clergy associated the blue sapphire with heaven blessing and wore it for its believed holiness. In recent times, it is one of the royalties’ first choice for family jewelry as it symbolizes virtue and abundance. Today, sapphire gems still act as symbols of wisdom, purity and faith and are worn both for their value and metaphysical powers. Here is a short introduction to the sapphire meaning & properties as regarded by spiritual masters and spiritual healing practitioners. Physically, it helps purifying the body, and it is also used to reduce fever, bleeding, and inflammations. Mentally, it enhances clarity of vision, protects against negative emotions, improves communication and helps you focus on self-development. That is why it is preferred in treating depression, insomnia, and even dementia. Spiritually, it favors intuition, higher guidance and fulfillment of dreams. According to astrological and general metaphysical theories, there is an intimate connection between those born in a certain month and the properties of their birthstones. It is not a coincidence that Virgos (those born in September) are highly analytical, precise and better oriented to achieving their goals than other ‘children’ of the Zodiac. Wearing your birthstone as a talisman potentiates all gemstone meanings and properties. However, even if you are not born in September, this gem can empower you with wisdom and clarity of mind. Whether you are an expert in gem mysterious powers or not, the moment you will touch a sapphire, you will know if it is the right crystal for you. As regards its coloration, while the majority of people think of sapphire as of a blue-hued crystal, the gemstone actually comes in a multitude of color shades. Colors are highly influential aspects when it comes to symbolism and energies, so each sapphire meaning varies according to the color it has. The meaning of blue sapphire is maybe the best known among gemstones wearers. One possible reason may consist in the fact that the finest quality of such gems is to be found in deep blue exemplars. Most valuable blue sapphires have been mined in Kashmir (India). The sapphire-related etymology leads us to its color too. The Greek ‘sappheiros’ stands for ‘blue stone’, while the similar Latin name ‘sapphirus’ means ‘blue’. This particular blue-hued crystal carries a different vibration than the others, as you are about to find out. Spiritually, the ‘blue stone’ has soothing properties, bringing enlightenment and encouraging positive emotions. Recommended Use: The blue sapphire is incredibly helpful in times of change as it keeps you on the right path enhancing self-discipline and successful collaborations. The pink sapphire is said to bring love and forgiveness. This gem’s meaning honors the heart. Recommended Use: the pink sapphire helps release negative emotions of the past and open up your heart for new beginnings. The yellow sapphire meaning is all about prosperity. The gem is believed to help you focus your energy on fulfilling your dreams and ambitions. Recommended Use: this gemstone will stimulate your willpower and lead you towards success and financial abundance. A gem of integrity and compassionate love, the green sapphire is ideal for those looking to be more forgiving. Recommended Use: this gem improves matters of the heart. Wear it for emotional support and guidance. This is a stone of grounding and superior protection against negative energies. Recommended Use: black sapphire is ideal for those looking to build a high self-confidence. It also relieves anxiety and enhances intuition. A symbol of purity and spiritual development, the white sapphire provides individuals with clarity of vision. Recommended Use: widely used in meditation practices, this gem enhances communication with higher entities. Sapphire engagements rings and jewelry are very popular due to the general belief associated to this gem – that of stability, loyalty, and happy long-term relationships. The fact is that sapphires, along with ruby, emerald, and diamond, make for the most versatile gemstones for engagement rings due to their brilliance and hardness. Regardless of what attracts the viewer or the happy buyer when it comes to sapphire engagement rings, there is a multitude of meanings the gems are invested with. That is why it is important to choose it in accordance with the personality and energy of the future wearer. 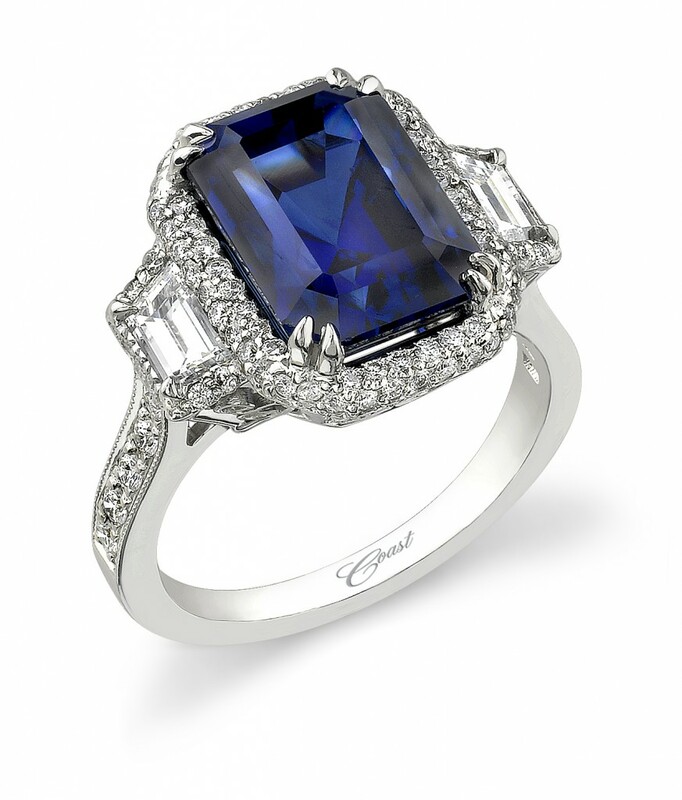 Of course, sapphire would be the ideal gemstone for future brides born in September. First Recorded Exploitation: 7th century BC, India. Bes Known Producers: Sri Lanka, India, Madagascar, Australia, China, Kenya, the United States (North Caroline and Montana). Color: all color schemes except red. Associated Meanings: faith, reliability, wisdom, clairvoyance, truth, constancy, honesty. Associated Chakra: Third Eye Chakra (blue sapphire). Corresponding Mythological God: Apollo – the God of Clairvoyance. Hey Buddy!, I found this information for you: "Sapphire Meaning & Mysterious Properties: An Introduction ". Here is the website link: https://accessgems.com/sapphire-meaning-mysterious-properties-an-introduction/. Thank you.